Despite a very vocal outcry regarding the choice to have the six foot five inch hero of Lee Child’s Jack Reacher novels played by the not at all six foot five inch Tom Cruise, 2012’s Jack Reacher was a still a solid action movie and allowed the always watchable Cruise to play a different kind of hero than we’re used to from him. Thankfully, we’ll get to see him in the role again, with a sequel, Jack Reacher: Never Back Down, having begun filming in New Orleans. Christopher McQuarrie (who also directed Cruise in Mission: Impossible Rogue Nation) won’t be back as director, and he will be replaced by another Cruise collaborator, Edward Zwick (The Last Samurai). Based on the eighteen book in the series, Never Go Back also stars Cobie Smulders (Avengers), Danika Yarosh (Heroes Reborn, Shameless), Austin Hebert (Bonnie and Clyde), Patrick Heusinger (Quantum Break, Girlfriend’s Guide to Divorce), Aldis Hodge (Straight Outta Compton, A Good Day to Die Hard), and Holt McCallany (Blue Bloods, Gangster Squad). 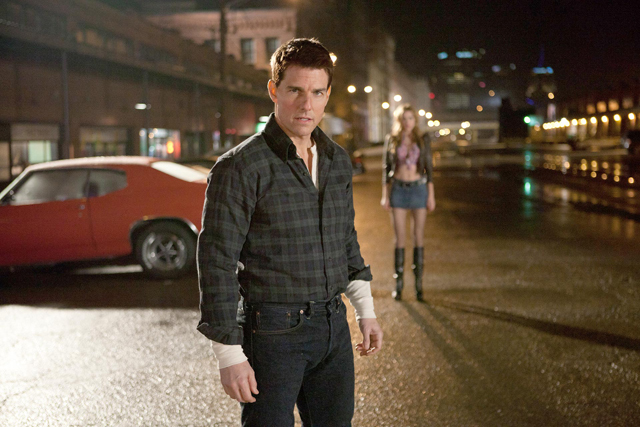 Jack Reacher: Never Go Back is set for release October 21st 2016.